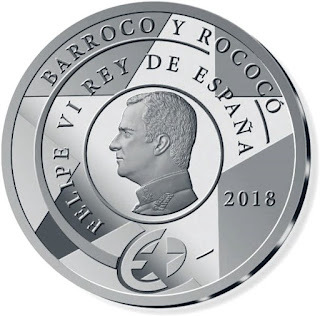 On a date still to be finalized, foreseeably during the month of April, the FNMT will put on sale the third series of Spanish coins within the program "Épocas de Europa", with the common theme "Barroco y Rococó". 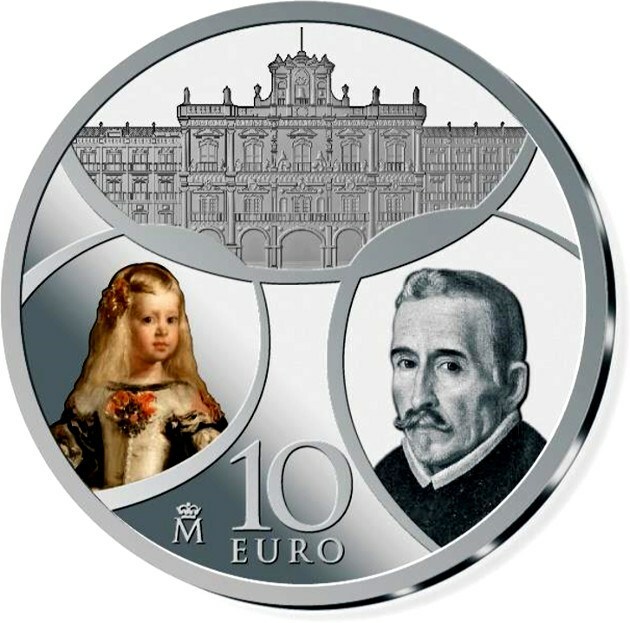 The issue consists of two coins with facials of 10 and 200 euros minted in silver and gold respectively. piece 10 EURO and, to the left, the mint mark. the right, the year of minting 2018. In the upper part of the coin, in a circular and uppercase, the legend BARROCO Y ROCOCÓ. In the lower part of the coin, the common brand adopted by the countries that issue currencies dedicated to the Europe Program. A five-pointed star occupies the entire bottom of the coin. The descriptions for front and back are the same, except for the face value.